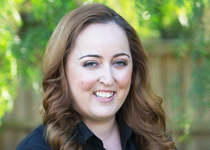 Jackie started with Raftons in 2007 as the firm’s receptionist. Since then she has gained valuable experience across a variety of areas, and has taken on a wide range of additional tasks and responsibilities, including: secretarial work, client liaison, assisting with the accounts function, booking and confirming client appointments and general administration. As the first point of contact for clients at our Richmond office, Jackie’s warm and welcoming approach immediately puts people at ease. She is committed to delivering the best possible customer service and goes out of her way to ensure clients feel comfortable and valued.